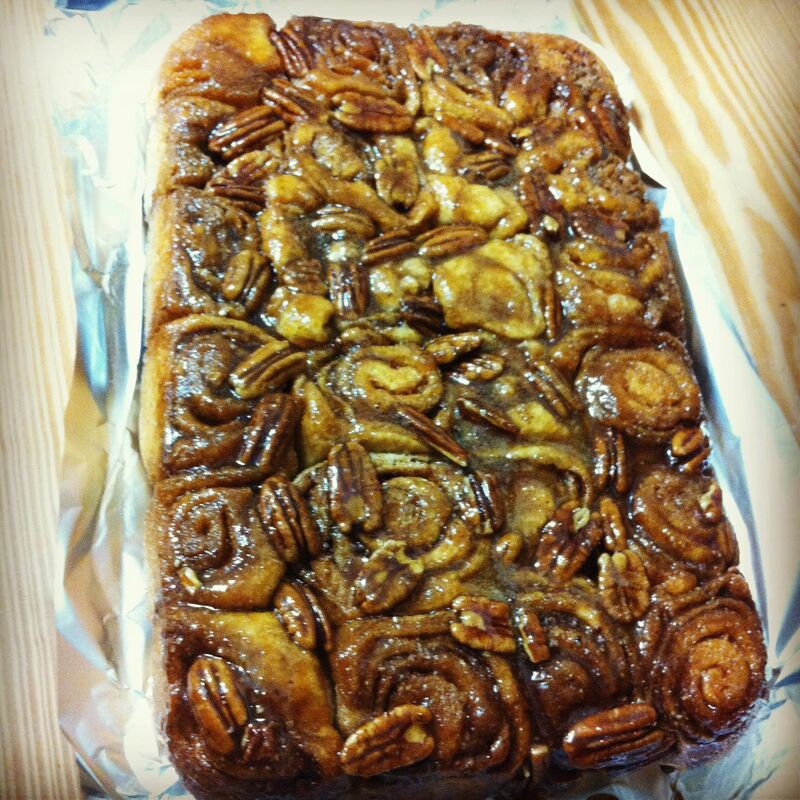 Whenever I visited my sister-in-law in Alabama, she would always serve us the best sticky buns that her mother-in-law Sharon would make from scratch and send over for us to enjoy. Sharon is a queen when it comes to baking — especially around Christmas time. I love how all of her kids and grandchildren look forward to her creations works of art. 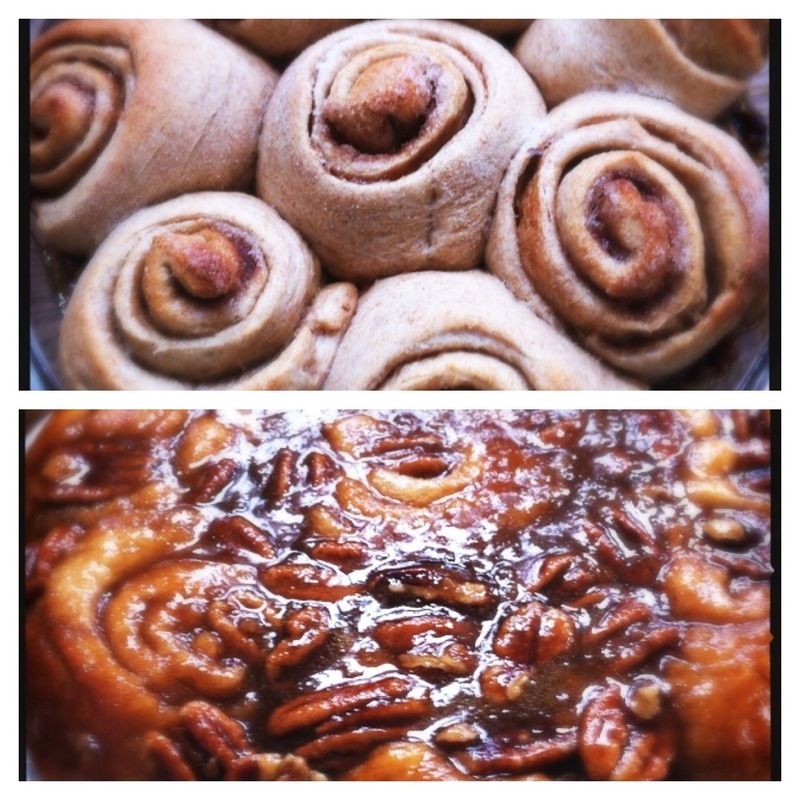 So I pulled a chapter out of Sharon’s book and decided to conquer the STICKY BUNS. I am not successful when it comes to making bread. I don’t know what happened — I used to be when I was in seventh grade and whipped out whole wheat bread for my baking honor badge. So I cobbled together some recipes I thought would work — my father-in-law’s whole wheat buns recipe, and two recipes out of the Better Homes and Garden’s cookbook for the “sticky” caramel and sugar concoctions. To simplify the process, I mix the bread mixture in a bread machine and let it rise a couple of cycles before taking it out to assemble. 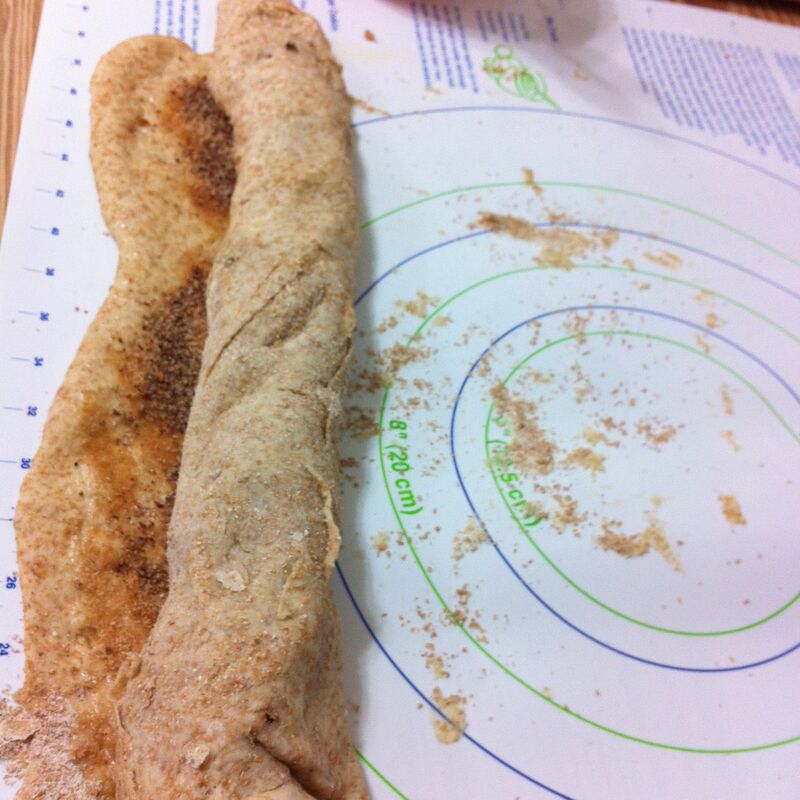 Dump all the ingredients from Part One into the bread machine with the flour and yeast on top. Then let it mix and rise once in the machine. Punch down dough. Divide in half. Let rest 10 minutes. While dough is resting. 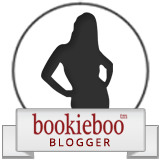 Lightly spray 9″ x 13″ baking pan. 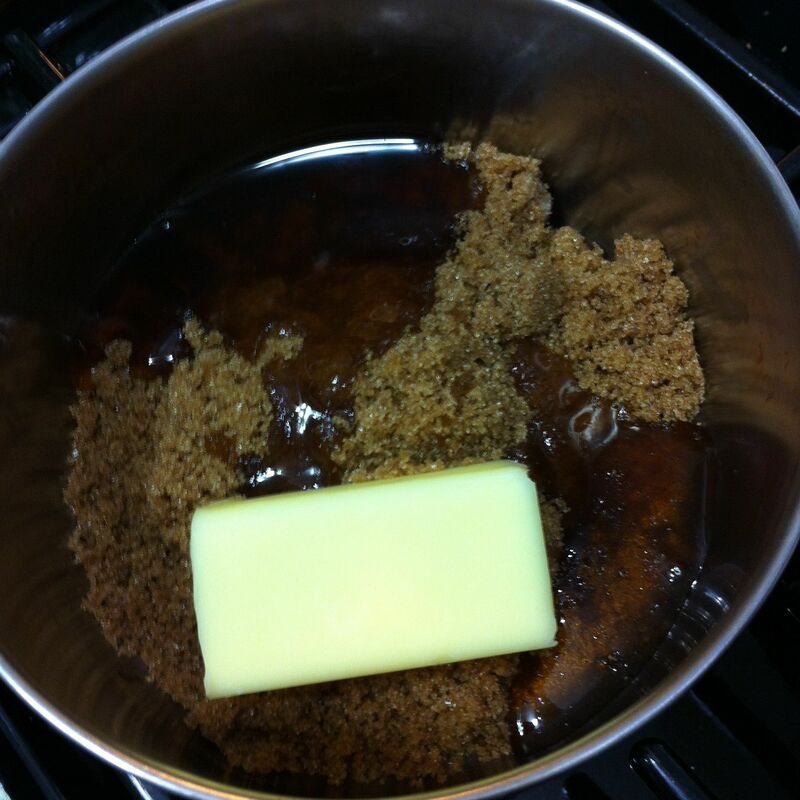 In a small saucepan, place Part Two ingredients over medium heat until sugar, butter and syrup have melted into each other, creating a caramel mixture. 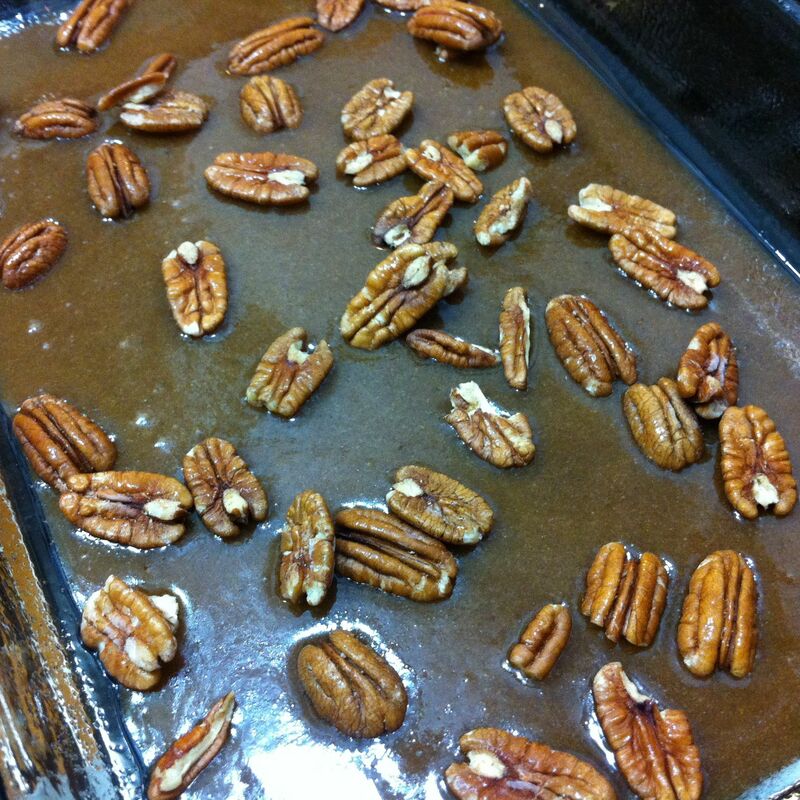 Pour mixture into baking pan and sprinkle with pecans. 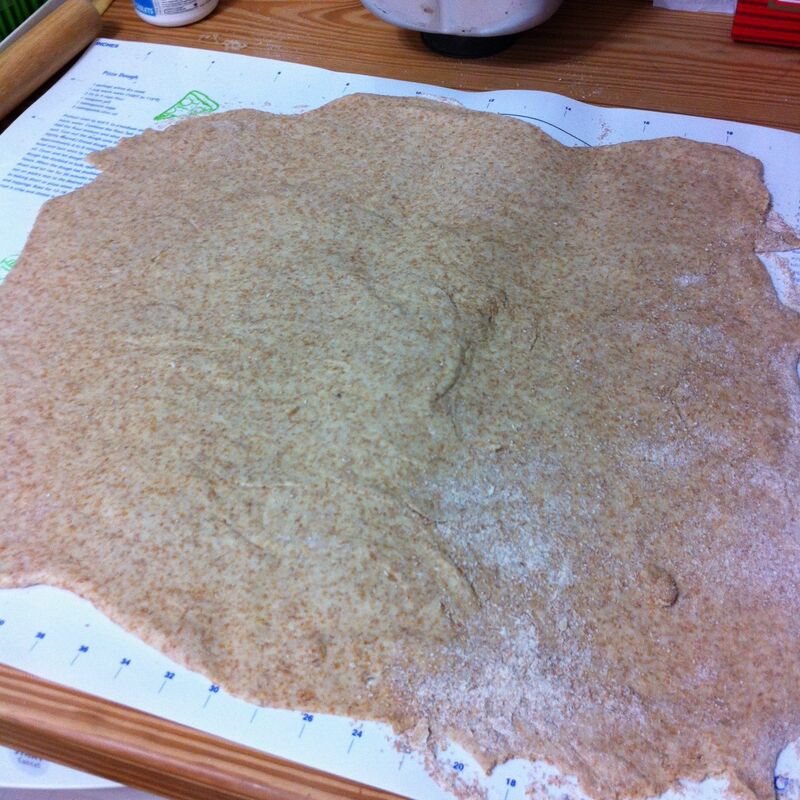 Going back to the dough, roll each portion out to 9″x13″. Rolling out dough. Mine is never perfect. Sprinkle with one-half of the sugar mixture from Part Three. Rolling the dough after sprinkling the sugar mixture. I’ve added pecan meal to this batch. 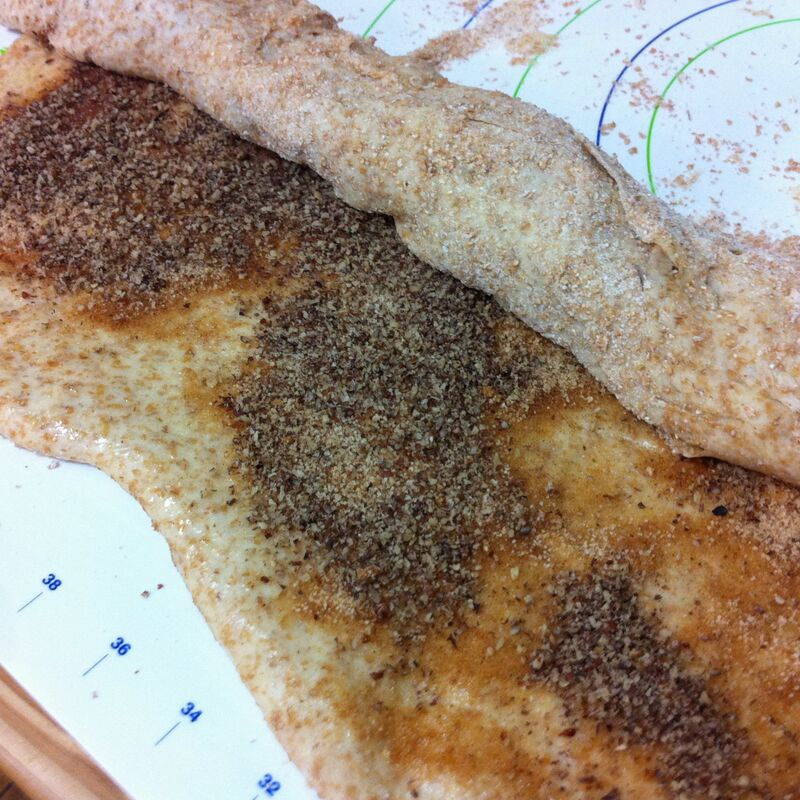 Roll up — like a jelly roll starting from the long-seam side. Slice each roll into 12 pieces. Place sections into pan, cover with a cloth, and let rise for 20-30 minutes. 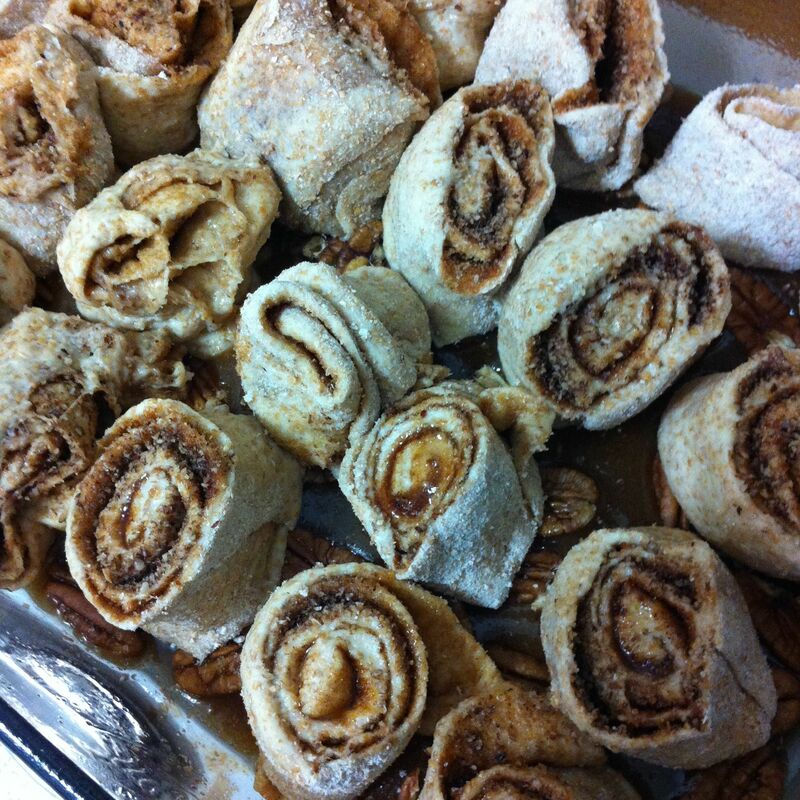 Bake at 375 degrees for 15-18 minutes, depending on the size of the rolls. Immediately invert baked rolls from the pan.